Fairloc® is the better way to fasten rotating components. It solves phasing, timing, positioning and frequent removal problems. Easy Adjustment Fairloc® replaces set screws and clamps; components can be repositioned with a single hex key adjustment. Compact, Self-Contained Design When available space or access is limited Fairloc's® small hub envelope is a distinct advantage. Full Use of the Bore Gives maximum support to the component, reduces wobble or misalignment. Two slots are machined into the hub; one oriented radially, the other angularly, to create a transverse wedge which remains attached to the solid portion of the hub on one side. The resultant cantilevered clamping section has a tapped hole to accept a cap screw which passes through a clearance hole in the solid portion of the hub, and into a threaded hole in the transverse wedge section. As the screw is tightened, the cantilevered section clamps the shaft securely. The screw can be tightened and released repeatedly without marring the shaft or affecting its torque transmitting abilities. For precision application – Lab tests proved Fairloc® to be superior to all other comparable fasteners. 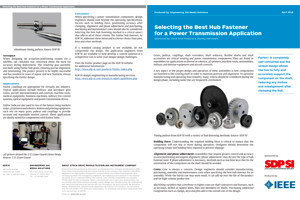 For high-torque application – Torques up to 400 lbf/in are obtained with a 5/8" bore Fairloc® hub. Our application engineers are available to assist you with any simple or complex design problems. We can offer solutions by matching the right component to your need, supplying value added services or a total design. We provide design, engineering and manufacturing services. We take pride in providing high-quality components, customer satisfaction, on-time delivery and being cost effective. Aerospace Components, Aircraft Instrumentation, Aircraft Fuel System Controls, Machine Tools, N/C Machines, Military Fire Control Systems, Medical Equipment, Business Machines, Optical Equipment, Robotic Systems, Power Drives. 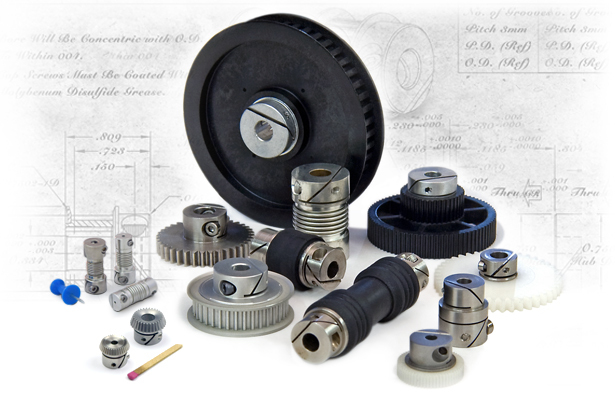 Fairloc® is a component fastening system that is built into the hub of the part. The relationship between the clamp screw fastening torque and the torque at which the component starts to slip on the shaft is shown in the graphs. These are typical values for Stainless Steel Gears mounted on Stainless Steel Shafts. For best results, the space between the component bore and shaft O.D. should be controlled closely. In addition, lubricating the clamping screw with molybdenum disulfide grease will improve the clamping action. CAUTION: Do Not Tighten Screws Without Shaft in the Bore. Doing so will create a permanent set of wedge section which will prevent the shaft from going in. Figure 1 – shows the torque at which the sample Fairloc® gears started to slip on the shaft. All gears and shafts were made of 303 Stainless Steel. Gear bores were within +.0003 inch of nominal values. Shafts had surface finishes of 16 micro-inch maximum and were within -.0002 inch of the nominal diameters. 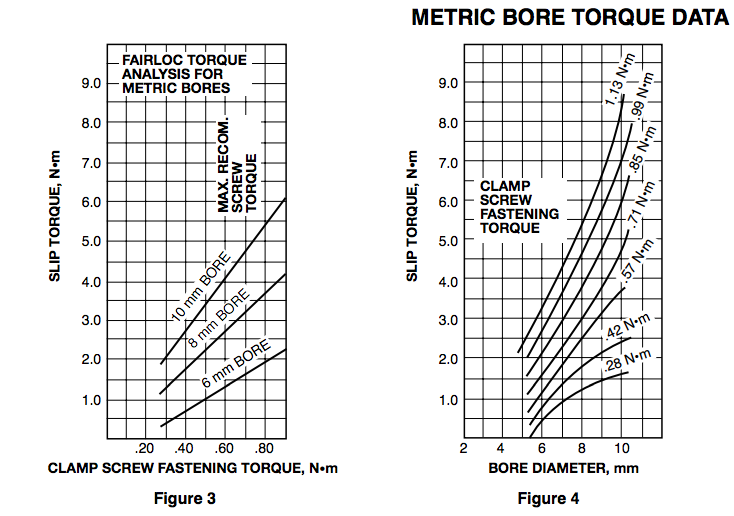 Figure 2 – compares the slip torques for different values of the clamping screw fastening torques. Figure 3 – shows the torque at which the sample Fairloc® gears started to slip on the shaft. All gears and shafts were made of 303 Stainless Steel. Gear bores were within +0.0075 mm of nominal values. Shafts had surface finishes of 0.4µm maximum and were within -0.005 mm of the nominal diameters. 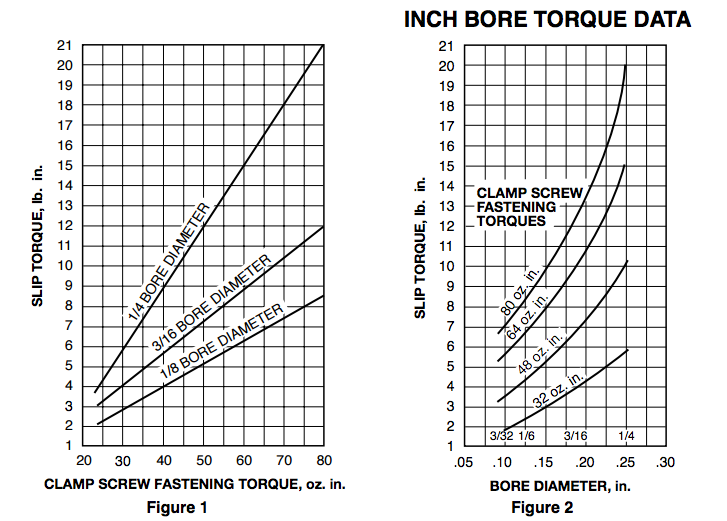 Figure 4 – compares the slip torques for different values of the clamping screw fastening torques.